This is a powerful Back Office System provided by eRun to help you centralize control of transactions, material and inventory across your whole business network. It keeps your data, bills, inventory and cost up-to-date at all times by real time synchronization, giving you reliable access to timely, secure and accurate information. Its user-friendly and easy-to-use design help you save headaches from getting into the mess of handling hundreds or thousands of transactions and items. 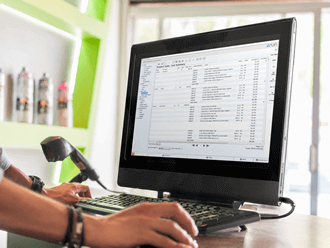 eRun Back Office System pulls together four key functions and is highly scalable to meet the business needs of companies operating everything from a single store to medium or large enterprises. To facilitate easy management of thousands of transactions at the back office, eRun chooses a workflow design that most users are familiar with. Here you can view, check, add, delete or amend the common types of transactions that are mission critical to your daily operations. The capabilities of this Back Office system allow you to process transactions covering the whole business network, whether you are a bakery shop with cake production at the factory or a cosmetics enterprise with hundreds of chain outlets in the region. eRun uses real time synchronization technology to keep your data accurately up-to-date at all times. You can rest assured that from front end POS to the back office, and even the CRM systems are up-to-date with the right data as often as your business demands. Precise inventory control is a key to success for a well-organized company. You need timely and accurate information on items received, on hand, sold, on-order and in-transit across the entire business network and the precise valuation and status of items remaining in inventory at any point in time. 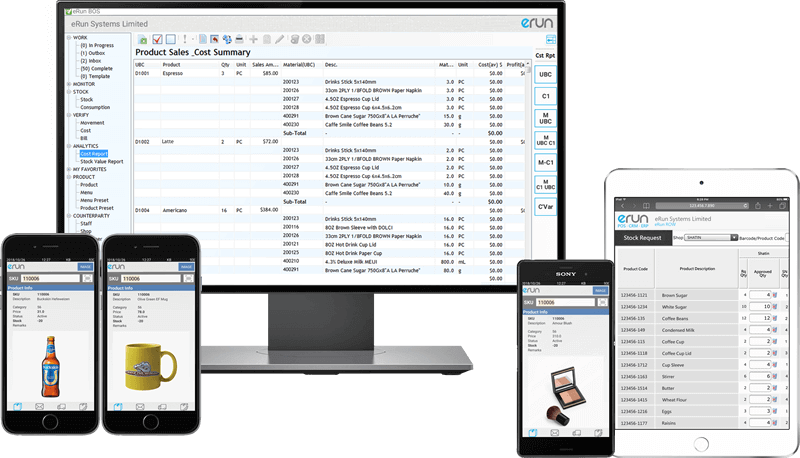 eRun Back Office System is designed to provide you with accurate information on all aspects of inventory to ensure you can manage and control inventory in the most cost-effective manner possible. With eRun, you can effectively control the inventory from becoming too high or too low that put the operation of your company into jeopardy. Replenishment can be set as automatic that creates purchase orders based on sales level or definable minimum stock levels. Furthermore, all items can be defined with a minimum stock level to remind you when to place orders manually. You are provided with detailed stock movement reports that help you efficiently manage and track the flow of items into and out of inventory within each shop. eRun also provides you the flexibilities to have accurate records of wastage, write-off or other disposition of items. 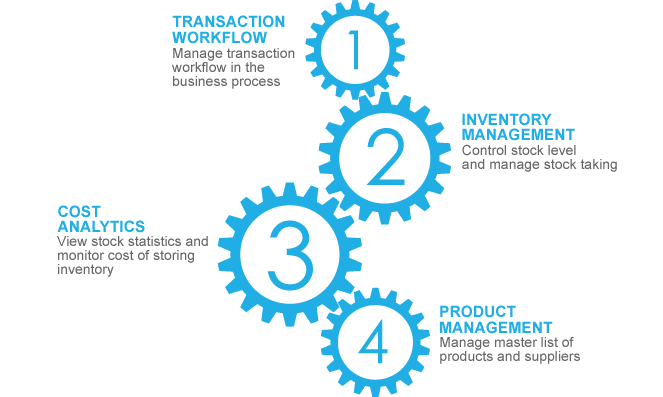 All inventory information is multidimensional – by color, size, style and other user-defined attributes. You can also easily track items by its barcode, product code or reference number provided by supplier. eRun is continuously focused on addressing the unique needs of the Food & Beverage industry. This Back Office System for F&B industry provides the end-to-end visibility you need across purchasing, inventory management, manufacturing and sales to support your comprehensive cost and profit analysis. The visibility is critical for F&B enterprises seeking to focus on their most valuable products and consider dropping their unprofitable products. 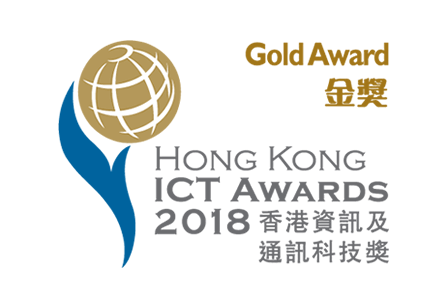 We are honoured that eRun Inventory & Cost Control System for Food & Beverage Industry is recognized as the Gold Award winner of Smart Business Solution for SME by the esteemed judging panel of the HKICT Awards 2018. The award recognizes our commitment to excellence in providing our customers with innovative, user-centric proactive POS management capabilities. To Food & Beverage industry, food recipe helps specify what ingredients are used in making the final product. 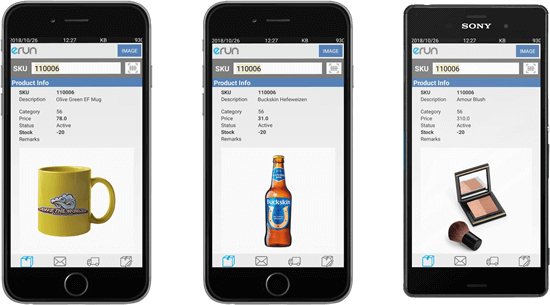 eRun offers you this functionality to accurately track where the ingredients are used, how many are required and how many are on hand. The system has the capability to provide you with multi level recipe so that you can maintain an accurate list of required ingredients for tracking raw materials as they are used to create finished or semi-finished products. It also helps to identify the need to adjust ordering amounts before the raw materials inventory gets dangerously low or is inflated to an unfavorable level. Consumption analysis reports will be generated automatically upon EOD every day at your front end shops. The information will be transferred to back office analytical tool and is then translated into meaningful information that helps you monitor, track and control your critical food production activities. You can specify to view raw materials consumed during a particular period of time by products sold or choose to check how a particular ingredient item is used among different finished or semi-finished products. Inventories are usually the largest current asset of your business. Proper measurement of them is necessary to assure accurate financial statements and help you make good business decisions. With eRun, you can choose one of the two costing methods, first-in, first-out or average cost, to confirm and verify the inventory level and the corresponding stock value for auditing purposes. If you are just working on a simple valuation, eRun also allows you to do the inventory costing with mark-to-market value. Stock taking results will be presented neat and clear in reports which are exportable to Excel for you to view and check any discrepancies and the differences that your total stock needs to be adjusted. Manual stock adjustments are allowed for practical reasons and all reconciliations will be accurately recorded for management information. Whether you are undergoing an annual audit or just preparing costing reports for management, eRun has the functionality to facilitate you to provide reasonable valuation for the inventory asset to ensure auditors or management are comfortable with. You are allowed to recalculate all transactions in the system to ensure no hidden or mis-loaded records that will affect the true valuation of your inventory. You can take any stock take dates as the cutoff points or even recalculate from day one the system is installed. The powerful drill down ability of cost verification process enables you to see the accurate compilation of the components in any finished or semi-finished items, as well as confirm and verify the correct costs.